A young man's close-knit family is nearly destitute when his uncle founds a successful spice company, changing their fortunes overnight. As they move from a cramped, ant-infested shack to a larger house on the other side of Bangalore, and try to adjust to a new way of life, allegiances realign; marriages are arranged and begin to falter; and conflict brews ominously in the background. Things become "ghachar ghochar" - a nonsense phrase uttered by one of the characters that comes to mean something tangled beyond repair, a knot that can't be untied. Elegantly written and punctuated by moments of unexpected warmth and humor, Ghachar Ghochar is a quietly enthralling, deeply unsettling novel about the shifting meanings - and consequences - of financial gain in contemporary India. The narrator is a regular customer at Coffee House. What draws him there? What is your opinion of the narrator? Is he as hapless as he portrays himself to be? Why does he alone remain nameless? Why didn't the narrator's relationship with Chitra work out? Would he have married a woman like Anita if he had met her by chance rather than by arrangement? Why is Chikkappa so generous to the rest of the family? Does his behavior set the tone for the household? What was Chikkappa's relationship with Suhasini, do you think? Brilliantly translated by Srinath Perur, Ghachar Ghochar is a finely narrated epic in every way – it’s a slim novel that packs a punch and is a true heavyweight in all the ways that matter. (Reviewed by Poornima Apte). A compact novel that crackles with tension, tracing the tangled path of a family's dissolution in their sudden rise to wealth. Starred Review. Shanbhag has been a prolific writer in his native South Indian language of Kannada for decades, but this firecracker of a novel is the first of his work to be translated into English. Absorbing, insightful, and altogether a wonderful read. Ghachar Ghochar is one of the most striking novels you'll read this decade... In Shanbhag's hands, the Indian family is revealed in layers; as one layer peels away, what lies beneath is left raw and exposed. This is a superb novel, unsettling and even claustrophobic ... but also moving and genuinely funny. Very rarely a book comes along that you want to thrust in the hands of everyone - readers and non-readers. Ghachar Ghochar is one such book. Altogether a delight to read ... Shanbhag gives us an insider's feel for the concerns that have shaped the middle class in the last half a century. An ingenious tale of how material wealth robs a family of its moral fortitude ... [Shanbhag] is obviously a master of the form. Vivek Shanbhag is an Indian Chekhov. 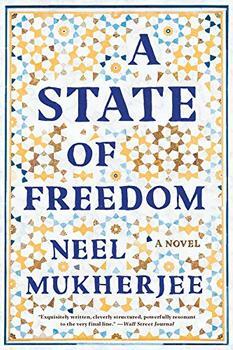 One of the best novels to have come out of India in recent decades. In this exquisitely observed, wry and moving novel, the smallest detail can conjure entire worlds of feeling. Vivek Shanbhag is a writer of rare and wonderful gifts. One of my favorite contemporary writers in English translates one of the leading figures of Kannada literature. The result is mesmerizing, distressing - and altogether brilliant. Vivek Shanbhag is one of those writers whose voice takes your breath away at the first encounter. Ghachar Ghochar presents life and its undercurrents with limpid prose and quiet insight. Tenderly alert to the new passions and disappointments of a 'rising' bourgeoisie, and handling its complex material with brilliant artistic economy, Ghachar Ghochar is one of the best novels to have come out of India in recent decades. In Ghachar Ghochar, the narrator lives in a joint family, and it is really this sociological unit that has been the mainstay of Indian life for centuries. What happens when one attempts to exchange the life one is given for something better? Can we transform the possibilities we are born into? Ambitious, rich, and compassionate, The Lives of Others is a novel of unflinching power and emotional force which anatomizes the soul of a nation as it unfolds a family's history.